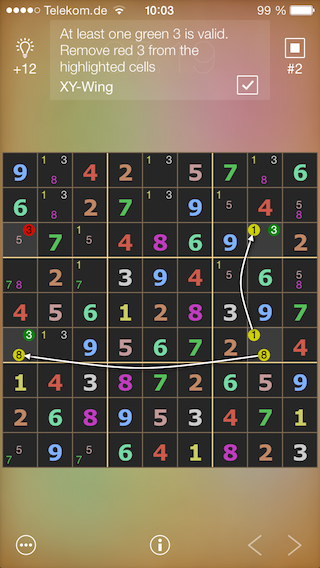 Play 4 brain teasing logic games - with thousands of puzzles. 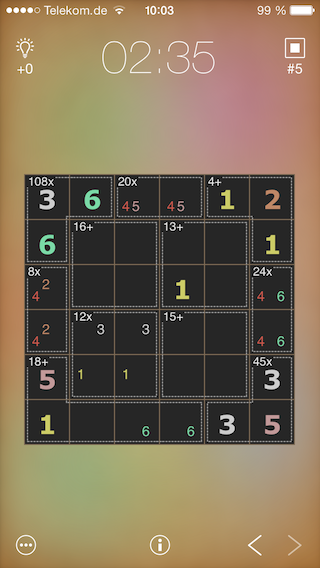 Enjoy classic Sudoku and try the X-Sudoku variation or use your math skills to solve Killer Sudoku and MathDoku puzzles! 9 digits was created by Ivonne & Marcus who love to play logic games! Requires iOS 8.0 or later. Compatible with iPhone® and iPod touch®. 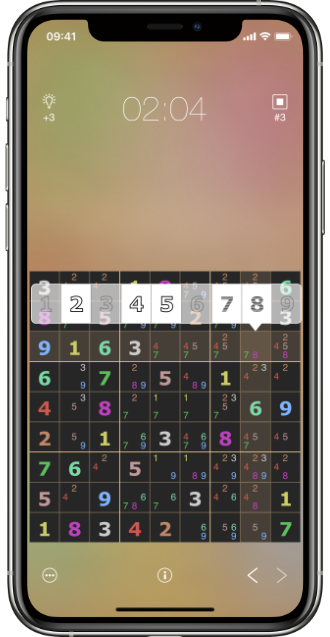 Play classic Sudokus or have a go at Killer Sudoku, X-Sudoku or MathDoku. Start with a beginner’s difficulty level or directly opt for master. 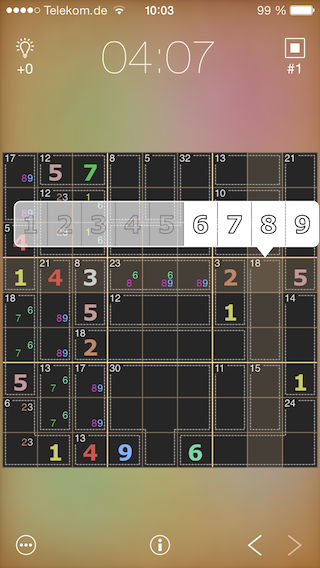 In Sudoku a digit must occur only once in a row, a column and a 3x3 block. 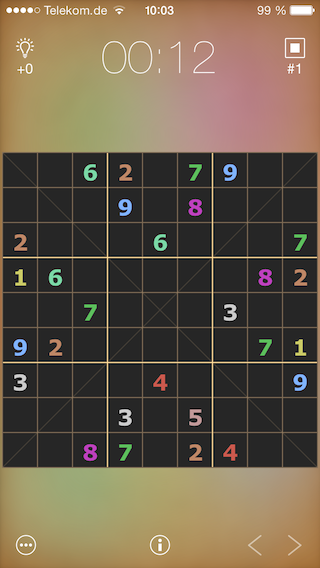 The X-Sudoku variation adds the diagonal lines to the set of constraints. To solve Killer Sudokus or MathDokus some math skills are required to figure out the correct digits on the board. Ask for help and 9 digits explains the next solution steps in detail and shows the strategy to use. Each digit has its own color which is also used for the pencil mark. So both digit and color help your brain to quickly check the puzzle and make your next move.